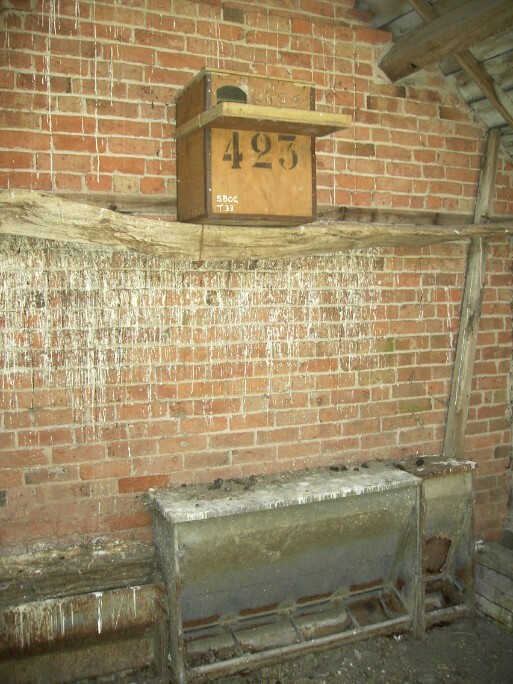 White droppings or 'splash marks' running down beams and walls or on the floor are distinctive signs that indicate that a barn owl has been roosting in an old building. Regurgitated pellets on the ground or surface below where a barn owl has rested, are black, shiny and up to thumb size. They contain the bones and fur remains of the barn owl's last meal. Brown and white flight feathers might also be present on the ground.